By L.A.V. Srl based in Rimini, ITALY. Opal remediates sites under a variety of state and Federal regulatory programs including CERCLA (Superfund), RCRA and state Voluntary Cleanup Programs (VCUP). 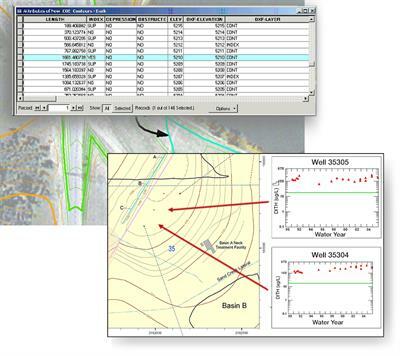 Typically, Opal integrates a number of independent remedial technologies at contaminated sites to provide our clients with a complete solution for soil and groundwater restoration. By Opal Group, Inc. based in Castle Rock, COLORADO (USA). By ENVISAN N.V. the Environment Division of Jan De Nul Group based in Hofstade (Aalst), BELGIUM. Environmental Site Assessments have become a routine part of commercial real estate transactions and environmental investigations. To avoid liability, a qualified professional should be retained to perform a thorough assessment. 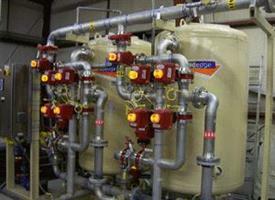 By Chemical Response and Remediation Contractors Inc. based in Harlingen, TEXAS (USA). By Environmental Chemical Corporation (ECC) based in Burlingame, CALIFORNIA (USA). By KU Resources, Inc. based in Duquesne, PENNSYLVANIA (USA). We want to aid our customers in achieving a smoothly running waste management system, one whose development will be as easy as possible. If necessary, we assume responsibility for all of our customer's solutions related to waste management and environmental remediation. Compliance and permitting solutions for complex state and federal environmental regulations. We reduce our clients’ risk of costly environmental remediation or regulatory enforcement by coordinating and managing environmental permitting and compliance programs. Facilitating Remedies to efficiently and effectively implement Green Remediation and environmental compliance programs, drawing on the knowledge of our scientists and engineers who have worked at hundreds of sites in dozens of industries nationwide. By TechLaw, Inc. based in Chantilly, VIRGINIA (USA). Groundwater and wastewater recovery and treatment options include customized treatment systems and hydrocarbon recovery and dual phase extraction. In situ treatment methods include air sparging/soil vapor extraction, permeable reactive walls or chemical oxidation. Cleanup a site such that any residual contaminant levels are below established threshold cleanup levels or risk-based cleanup levels. Remediation program is structured to meet specific regulatory agency requirements. By Environmental Solutions based in Fort Worth, TEXAS (USA). PES has extensive experience in Environmental Remediation & Site Closure. Our engineers provide clients with comprehensive and cost-effective Environmental Remediation solutions. By PES Associates based in Hingham, MASSACHUSETTS (USA). We combine our environmental knowledge with our database management and development skills to deliver custom reports and create new databases for our clients.